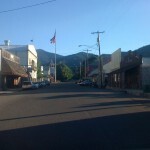 Our family took a driving tour of Siskiyou County’s beautiful and historic Scott Valley via Highway 3, from Yreka to Callahan. This nice 46 mile excursion took just over an hour and provided beautiful views of mountains and ranches within the valley. Scott Valley is located adjacent to the Marble Mountain Wilderness, so the area is often used as a jumping-off point for hikers and explorers. 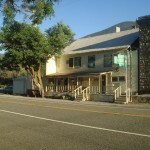 Scott Valley (not to be confused with the city of Scott’s Valley located in the Bay Area) was settled in the mid-1800’s and was once part of the Oregon-California trail. 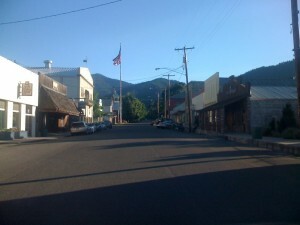 The area is named after John W. Scott, who discovered a large nugget of gold near Scott Bar. That discovery created an explosion of growth in mining and ranching in the area. 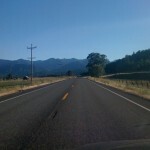 We left Yreka’s Walmart and headed south on Hwy 3, otherwise known as Fort Jones Road. 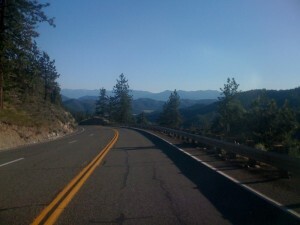 The road started to climb into hills covered with Ponderosa Pine and sagegrass and we drove over Forest Road summit at 3800 ft about a short time later. We arrived in the town of Fort Jones (pop 600) on the valley floor after about 10 more minutes of driving. Fort Jones was established in 1852 by Captain Edward Fitzgerald of the 1st Dragoons and was called other names before being named Fort Jones in 1860. The town is surrounded on two sides by mountain ranges, and most of the town commercial establishments area concentrated along the highway. We continued south out of Fort Jones on Hwy 3, driving past large cattle and hay ranches, with rolling mountains in each direction. We soon arrived in the small, pleasant town of Etna (pop 781). 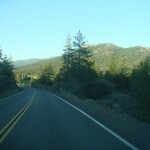 Just before the town entrance, Hwy 3 curves to the left. We drove straight on Collier Way into the town center. Even though Etna’s official population is slightly more than Fort Jones’, Etna seems to be much larger. 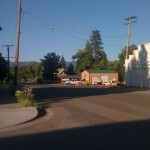 Etna has a grid-like street layout, and has a small downtown and a nice city park. In the downtown, there’s a number of restaurants, galleries and shops. One restaurant advertised a Rib Eye meal for $21. As we drove down one side road, a deer walked lazily down the street while neighbors watched from across the street. We continued out of Etna and headed south 13 miles to the small town of Callahan. 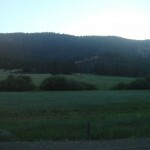 The drive continued along open hay fields and occasional streams. 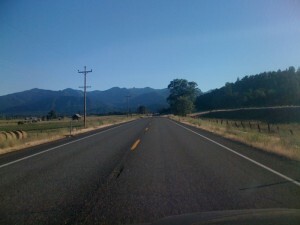 After Callahan, we headed back to Mt Shasta on Hwy 3. Overall, I’d recommend this drive to anyone looking for a relaxing afternoon. 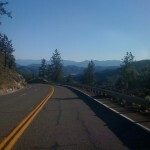 Not only would an explorer get to see a historic and very remote part of Siskiyou County, but one could also use this route to explore many of the other many campgrounds and hiking opportunities in the area. I’ll try to review some of those opportunities in future reports. Here’s a map of our drive. Be sure to click the “Photos” box to see photos from the drive placed on the map where they were taken.